It’s official — Google Chrome is now the most used web browser worldwide, beating out Microsoft Internet Explorer (IE). According to data from Statcounter, the change in leadership occurred last week. 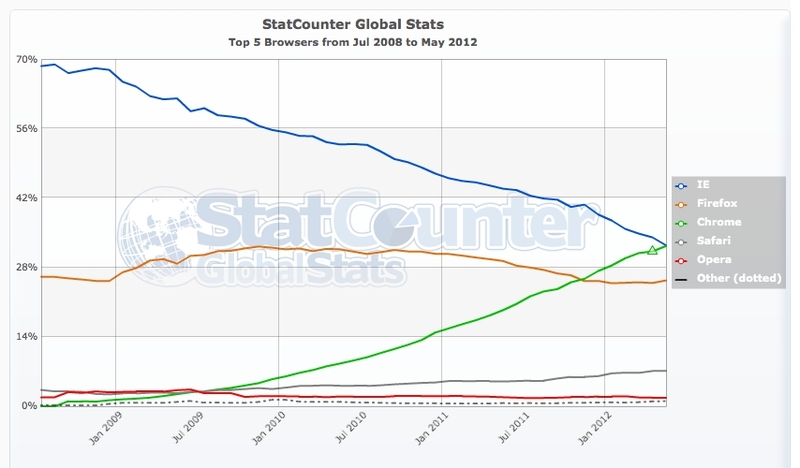 Statcounter data also suggests Google’s mobile browser, Android Robot, is close to beating Opera as the most popular mobile-based browser. How does your website display and function in Google Chrome? Now is a good time to check.